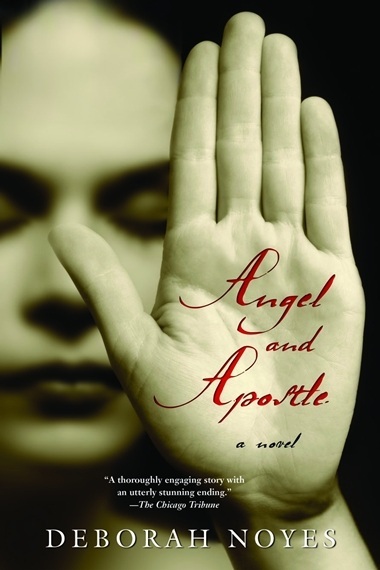 Angel and Apostle is an accomplished novel, stylistically sharp and metaphorically keen. Noyes commands a thorough knowledge of the 17th Century world of Hester and Pearl, both in New England and in England, where mother and daughter flee to escape the social wrath visited upon Hester…. Noyes chooses the language of the mid-17th Century, the same language used by Hawthorne, to craft her multifaceted tale. The verisimilitude of style and tone envelop the reader; Noyes has perfect pitch for the era and a keen sense of the charged atmosphere of isolation, dread and trenchant desire that surrounds both women…. [Noyes’] deft telling provides a thoroughly engaging story with an utterly stunning ending that affords the reader much to ponder. Noyes engages with atmospheric charms of time and place, and…delivers an ending revelation that would surprise Hawthorne himself. It was the Lord’s Day, and we were idle—me with the sting of stones at my back, they shrieking like brats possessed. Because I knew that no pack of holy pygmies would brave the wood without master or mother, I ran and ran, willing myself be an otter and the shade be water. How cool it was and dark, my Wilderness. How sweetly it repelled them. With their brat-threats dying in my ears I crashed later through a thicket and found in a clearing, as stark as any miracle, a gabled house with a skinny lad in its kitchen plot. How do I fashion him in your thoughts? Let us say this boy was still, as still as marble, and riveting for it. What’s more, he was as stately in his solitude as the townsfolk I daily spied on (blasphemers and nose-pickers all) were shrunken in theirs. I would come again and find him on a little three-legged stool, milking his cow with deft hands, and again, whence he would be whittling by the wall in the sun. But on this day he was sitting, just sitting on a house chair in the green-specked mud of the garden, with his strange, pale eyes shifting in their sockets. His hands were beautiful birds chained to his lap. He looked not before him but straight up as if my words came from beyond. The boy I would come to know as Simon turned to my voice that Sabbath day, and I considered how much deeper his was than I might have imagined, a man’s voice, though he looked to be no more than a scrawny boy. Were I old enough to know better, I would have blushed. Instead I crept closer and scooped a handful of dry leaves from the ground. Leaning over the fence, I showered his boots with them. He did not look down.